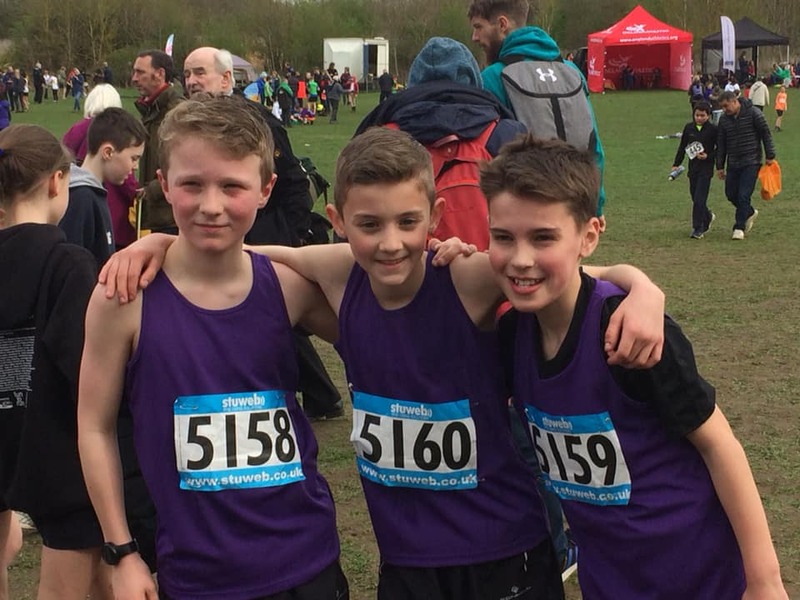 Three of our juniors were selected for the West Yorkshire Year 7 team for Saturday’s National Cross Country Finals at Prestwold Hall, Leicestershire. Representing their country for the first time, Charlie Pickens, George McFie and Tom Owen came in at 81st, 111th and 126th respectively in a packed field of just under 200 of the country’s best runners. It was an amazing experience, although Charlie described it as ”the hardest race I’ve ever run”. They head back to the fells this Saturday in Keswick with the start of the FRA English Championship races.